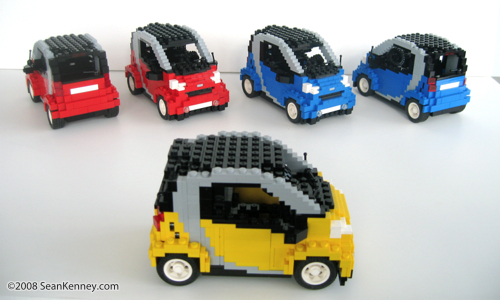 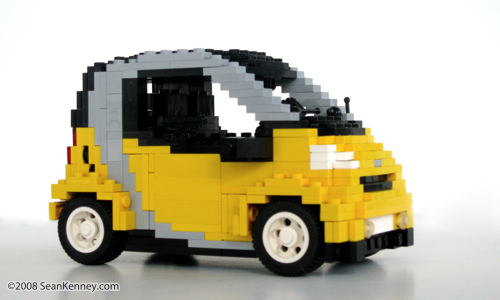 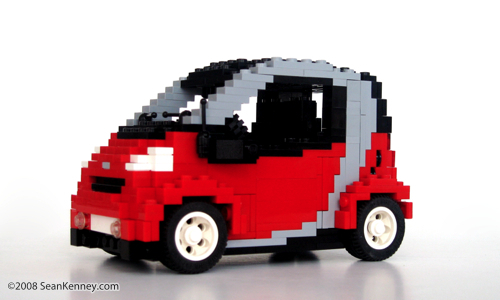 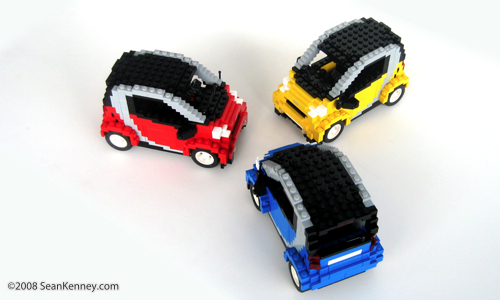 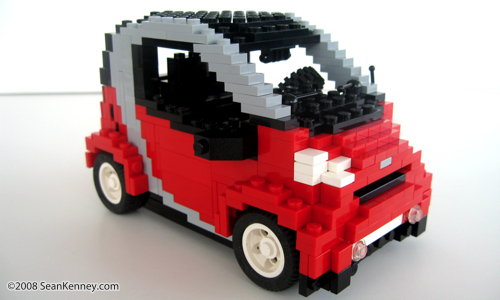 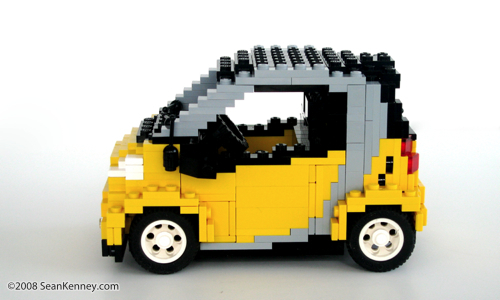 This 1:20 scale Smart ForTwo is built in LEGOLAND's "miniland" scale, an update to an older design. 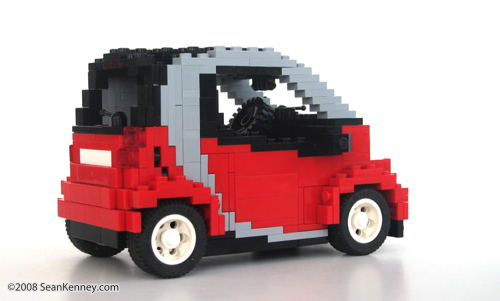 Using only basic LEGO bricks (all of which stay "on the grid") this model illustrates how great curves and shapes can be made with just basic little rectangles. 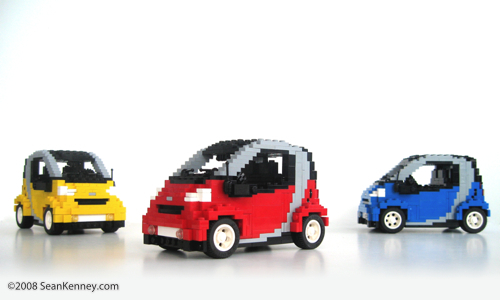 Each of these sculptures is fully glued and has been signed by the artist. 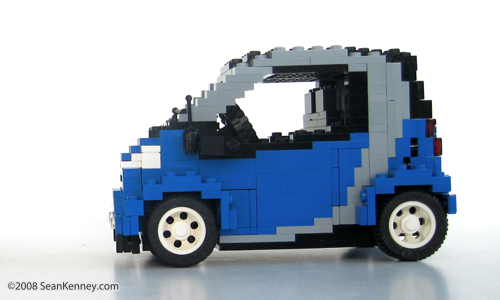 Only five have been produced, and this limited edition is now being offered for sale. 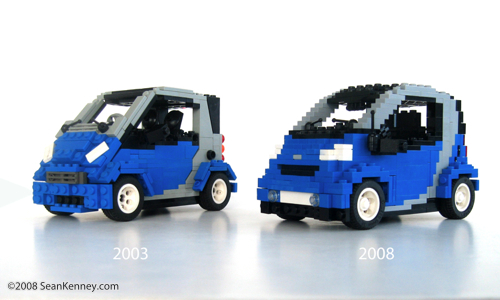 One was on display at a New York City art and technology show in June 2009, and another at Changi International Airport, Singapore, Summer 2009.